Facebook PPC has become one of the most effective advertising strategies in the history of advertising. With over two billion users, virtually any type of business can make an extraordinary use of utilizing Facebook for advertising. Throw in Facebook’s incredibly robust and easy to use ad Power Editor and supplementary tools, and you’ve got one of the most powerful marketing combinations. When it comes to PPC, it’s incredibly important to always keep an eye on how much money you are spending and what you are receiving in return. Keep in mind that there are several ways to measure your return; for example, you could choose to use revenue or customer retention as a metric. This guide is very ROI (Return On Investment) focused, and it is designed to help you fine-tune your Facebook PPC campaigns. If you take anything away from this guide, let it be this tip. Setting up a Facebook Pixel is one of the most important things you can do for your marketing campaigns. A pixel will help you build better campaigns in the future, while also helping you get more value out of your current marketing efforts. While it may sound a bit complicated, a Facebook Pixel is simply a small string of code you place in the HTML of your website. By placing and triggering non-intrusive cookies, the pixel tracks users as they engage with your site and ads. a. Track conversions: This gives you an intimate understanding of how customers interact with your site after they see your Facebook ad. It also allows you to track visitors across several different devices. This valuable data can be used to optimize your campaigns for a certain device. For example, if you find that people are finding your ads on mobile but switch to desktops to make a purchase, you can streamline your campaigns to reduce as much friction as possible in the transition. b. Remarket: The tracking data allows you to create targeted ads to people that have already qualified themselves by taking a certain action on your site. For example, you could show users who abandoned their carts specific ads containing a product they had in their cart. c. Creation of Lookalike Audiences: Facebook Pixels allow you to magnify your reach for future campaigns by creating lookalike audiences of people who have similar interests, likes, and demographics to people who have already been interacting with your site. Having an in-depth understanding of what Facebook does and doesn’t allow is going to make your ad creation strategy. 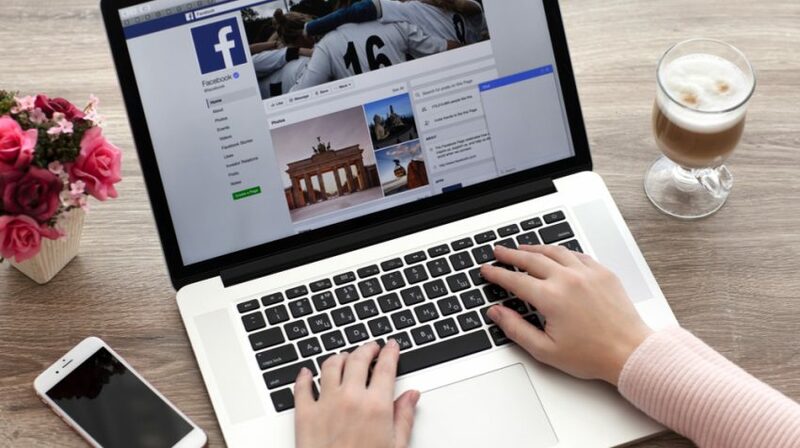 The key to efficient Facebook PPC is to eliminate any potential surprises and obstacles, and there are few things as annoying as finalizing an ad’s content only to realize Facebook won’t allow your ad to be seen due to an ad guideline violation. d. Prohibited Content: Facebook’s list of prohibited content is fairly extensive. Ads cannot advertise tobacco, drugs and drug paraphernalia, adult products, unsafe supplements, or adult products. Facebook makes it very clear that advertisers have the responsibility for understanding and complying with Facebook’s Ad Guidelines and all other applicable regulations and laws. Businesses that fail to comply could end up getting their ads canceled, and even have their accounts terminated. Keep yourself in the green by reviewing Facebook’s Ad guidelines and keeping up with any updates. Remarketing can be a phenomenal strategy to push second and third chance conversions, but only if used correctly. A major cause of pain and confusion for merchants is the creation of an effective Facebook Audience for remarketing purposes. The key is to build these Facebook audiences manually, as opposed to simply just relying on your tools to do the job for you. Utilizing a Facebook Pixel is a great first step for remarketing, but it is just a first step. a. Email database: Utilizing the “Customer File” Facebook Power Editor option, users can input an email database of emails they have already collected. This is an awesome option if you already have an email list because these leads are already warmed up to your products and services. If you don’t have an email list, consider running some campaigns with the goal of building an email list, and then utilize that email list to remarket at a later point. b. Website traffic: The rate of standard website conversion is around 1.5%, which isn’t exactly a huge remarketing opportunity. Running remarketing ads to get these people back on your site might force some new conversions from people who forgot to check out, but you’re going to end up spending a huge majority of your remarketing budget showing ads to people that simply aren’t ready to buy. This is where Facebook’s Power Editor comes into play. By segmenting your remarketing list with URL and duration combinations, you can further qualify your site traffic. This is a great way to filter out people who have no purchasing intent and focus on people who do. c. Engagement on Facebook: This is a great way to build extremely targeted and engaged audiences. The “Custom Audiences” panel allows you to retarget people who have interacted with your content or viewed your videos to a certain length. Since these audiences are more likely to convert due to their interest in your content, they are very cheap to target. Finding an audience that converts at a high rate isn’t an easy task. It often involves iteration upon iteration of ad targeting and, once you boil down your audience to one that drives conversions, it’s usually very small and becomes quickly over-targeted. This is where Facebook’s Lookalike Audiences come in. All you have to do is simply give Facebook your audience’s information, and it pulls together people with similar demographics, interests, and likes and builds an audience for you. Facebook has an incomprehensible amount of data, and Lookalike Audience is a gift to PPC campaigns everywhere. While this strategy does require some audience development on the front-end, it makes scaling and scaling automation a much easier process. Visually appealing content does a wonderful job at attracting eyeballs. Your ad likely has one opportunity to elicit a pause in a visitor’s daily newsfeed scrolling session, which is why it’s so important to make sure it’s worth the attention. Your images should be unique to your brand and do a good job at eliciting a positive psychological association with your products, services, or promotion. Finding the perfect images often takes a couple of tries, which is why it’s important to monitor your ad performance with each change. Many savvy merchants go as far as hiring a professional photographer to showcase their products in the best possible way to ensure that the people who do respond to their ads are likely doing so because the product itself captured some sort of interest. There is a lot of patience associated with PPC, particularly in analyzing a certain ad campaign’s ROI. While Facebook does allow you to gauge ad performance slightly faster than Google, it still takes some time to understand how users are interacting with your ads. A common urban slang adage that often applies to PPC is “scared money don’t make no money.” If you set a daily budget of $10 a day, your ad will be shown a negligible amount and spaced throughout the day—essentially robbing you of a high quantity of clicks to analyze whether the ad would have been successful or not. If you’re pulling your campaigns prematurely, you could be missing out on a ton of value and letting your current ad spend go to waste. Be patient. It’s recommended that you give advertisements at least 50 to 100 clicks before assessing their performance. This way, you have a nice data pool to assess whether you should put more money into your ad, iterate, or launch an entirely new ad campaign. Which ad image performs better: the one with the palm trees or the one with the seagulls? What’s a more effective word combination: powerful and lightweight shoes, or flashy fast shoes? What’s a better demographic to target: females age 16 to 20, or females age 21-24? Many of the above questions are very niche and might not apply to your PPC campaigns, but you get the point. You’re inevitably going to question nearly every component of your ads, so why not invite data analysis into the conversation? Make use of Facebook’s compilation of the data from billions of users and understand which ads perform the best for your specific audience. When A/B testing, make sure you are keeping all variables the same except for the one you are testing. For example, if you tested the three above questions at once, your results would be so confusing you wouldn’t know what influences a change in performance. Facebook Audience Insights is a phenomenal tool that will help you understand a specific audience you aren’t as familiar with. Prior to launching a campaign, make sure your demographic, likes, and interests assumptions are in the right ballpark. 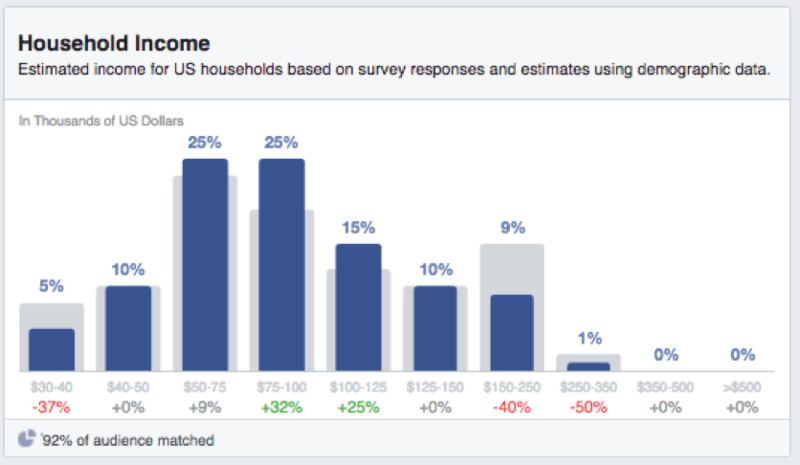 Facebook Audience Insights reveals what a certain audience actually looks like. Additionally, Facebook Audience Insights can be used to dive into an audience at a granular level or find new potential audiences without having to spend a dime of your ad budget. For example, we can discover more about a target audience of males living in the United States between the ages of 22 and 30 who like TechCrunch. In the demographics tab, we can see everything from the age and gender distribution to relationship status, education levels, and even their job title. 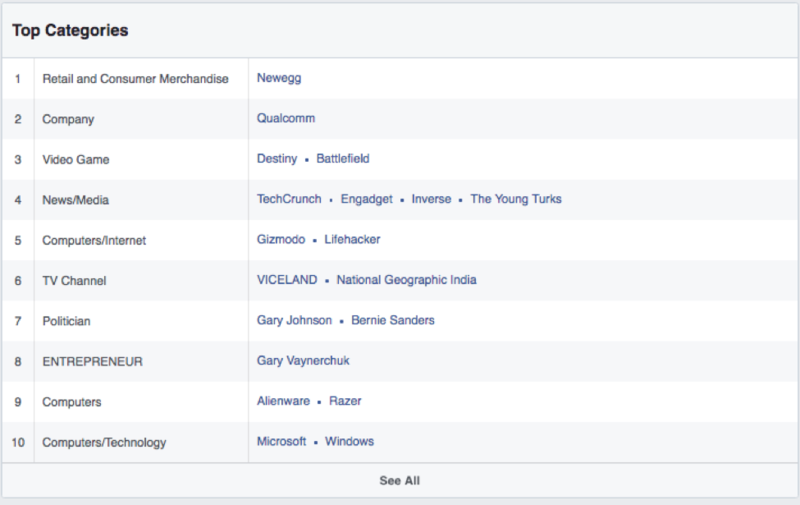 In the page likes tab, we can see other pages and interests this specific audience has. This is golden, especially if we want to utilize these pages to further explore new audiences. For example, our next Facebook Audience Insights mission could be to check out what the audience that likes the page “Gary Vaynerchuk” consists of. In the Household tab, we can even see how much this audience brings home in annual income. This will help us to “qualify out” future ad targeting, and play around with the inputs to try to create an audience that perfectly matches our ideal user. As you can see, Facebook Audience Insights is a spectacular tool to build audience personas and validate our current ad targeting efforts. In a perfect PPC world, every single click would turn into a new customer almost instantaneously. However, nothing could be further from the truth. In order even to make someone a legitimate lead, let alone a new customer, a business usually has to make a good impression at 5+ touch points. Your sales funnel is, essentially, the series of touch points that take a site visitor and make them a well-informed and satisfied customer. While the steps of a funnel vary, it’s generally accepted that the four parts consist of awareness, interest, decision, and action. Understanding your sales funnel will help you to craft targeted ads that are directed toward potential customers at every step of the sales funnel. This segmentation is incredibly important for conversions, as well as qualifying leads. It also makes your ad strategy much easier. For example, you would want to send someone in the “decision” portion of the funnel ads that establish credibility for your company, among all other options, while you would want to send someone in the “awareness” portion ads that reveal a problem they may be having and how you can solve it. A huge mistake many PPC marketers make is only looking at their data at a surface level. Things such as the number of impressions and the click-through rate are good numbers to know and track, but there is so much more. Facebook is an extremely powerful platform for advertisers because it has access to an enormous amount of data and is able to present relevant information to advertisers in a robust, easy to use interface. Diving a bit deeper, you will see what types of users are clicking your ads, who is looking at your ads, which of your ads are successful, etc. Take full advantage of Facebook’s FREE super detailed reporting to better understand your audience and your ads’ performance. Set up KPIs to monitor with every ad and understand how everything is linked. Knowing your data, however, is only half the battle. You should be constantly testing your assumptions and tweaking your campaigns for the better. Advice on the internet will only take you so far; you need to apply your own unique results to, ultimately, get more out of your PPC efforts. Whether you’re just getting started or looking to take your campaigns to the next level, the above tips will help you streamline your journey. Social media advertising and Facebook PPC present a huge advantage to businesses of any size and shouldn’t be overlooked. While this guide is meant to help you establish a foundational understanding of how to launch and monitor a successful PPC campaign, the responsibility of keeping your PPC knowledge up to date falls on you. By staying constantly informed of PPC changes and Facebook updates, you’ll be able to sit on the cusp of innovation and act on any new opportunities before the rest of your competition.